The logistics and barracks site, 4 kilometers east of the village of Afrikanda. 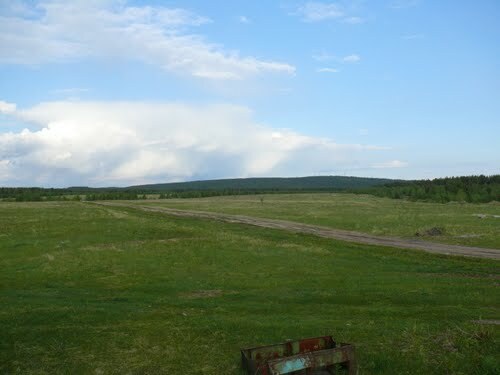 The airfield, east of the barracks. 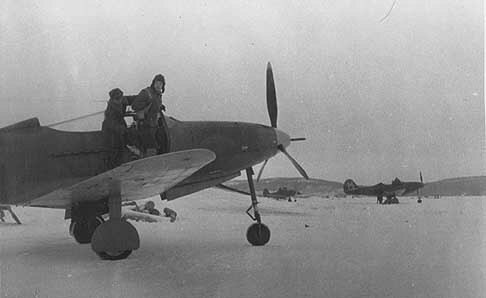 The winter airfield, on the Khabozerskaya Guba lake. Afrikanda was used by the 19th Guards IAP (Bell Airacobra and P-40 Kitthawk). Additionally it was used by RAF HP Hampdens and Hurricanes. 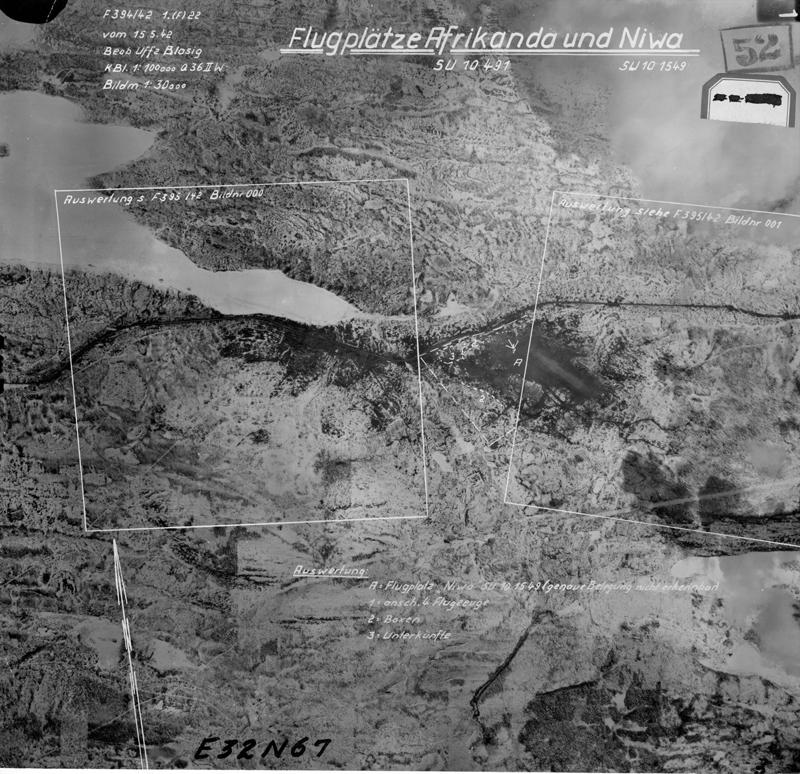 The airfield was bombed on several occasions by the Luftwaffe. It closed a few years after the war, when a new Afrikanda airfield was built just across the road. The airfield is still recognisable, both on the ground and from aerial photography. Most of its logistics facilities were transferred to the new airfield. The World War II Afrikanda airfield in 2010.